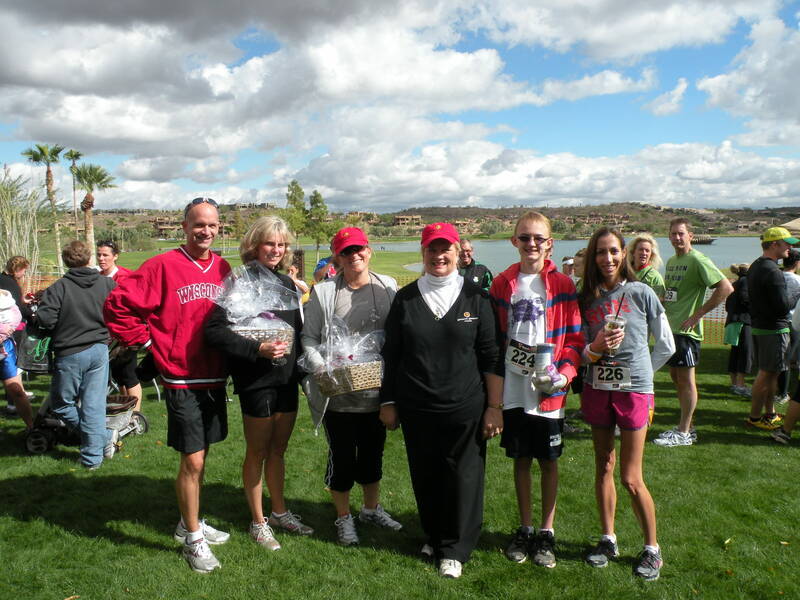 Fountain Hills Wine Week 2011: A New Event Is Born! The Great Grape Stomp on November 5, turned out to be a fantastic way to launch what I’m sure will be an annual tradition in Fountain Hills. A 5-k run (2.5 times around fountain park! ), wine tasting garden and lots of talented local artists in a street fair atmosphere all enjoyed what started out to be a rainy morning but ended up to be a beautiful fall day! The event was held at the Plaza Fountainside, home of Fountain Hills own Grapeables Wine Bar. Fountain Hills own Peggy Fiandaca and Curt Dunham of Lawrence Dunahm Vineyards, along with Su Vino Winery of Scottsdale and Kokopelli Winery of Chandler presented some fantastic wines and proved to more, unsuspecting wine enthusiasts that Arizona Wineries can really hold their own! Peggy is President of the Arizona Wine Growers Association and was pleased to present the 4th in a series of these events in her home town. Earlier stomps occured in Wilcox, Verde Valley and Elgin/Sonoita. A Grape Stomp Runner-With a Winning Smile! Additional events included a Lawrence Dunham Vineyards Wine Tasting at Sonoran Lifestyle Real Estate on Thursday, Nov. 3rd, followed by a Wine Maker’s Dinner at Sofrita Restaurant. Next year, stay tuned for more and bigger events and celebrations. In the meantime, be sure to check out Lawrence Dunham Vineyards and you’ll get a chance to learn, firsthand, just how good the Arizona Wines have become. My favorite are their Grenaches, in particular the Sky Island Grenache, that is reminiscent of some of the finer pinot noirs of my home state of Oregon. Recently, though, the 2009 Grenache, aged 11 months in new French oak, has got my attention. You’ll also find some beautifully crafted Syrahs and Petite Syrah’s and the quality of their blends will impress the most discerning enthusiast! 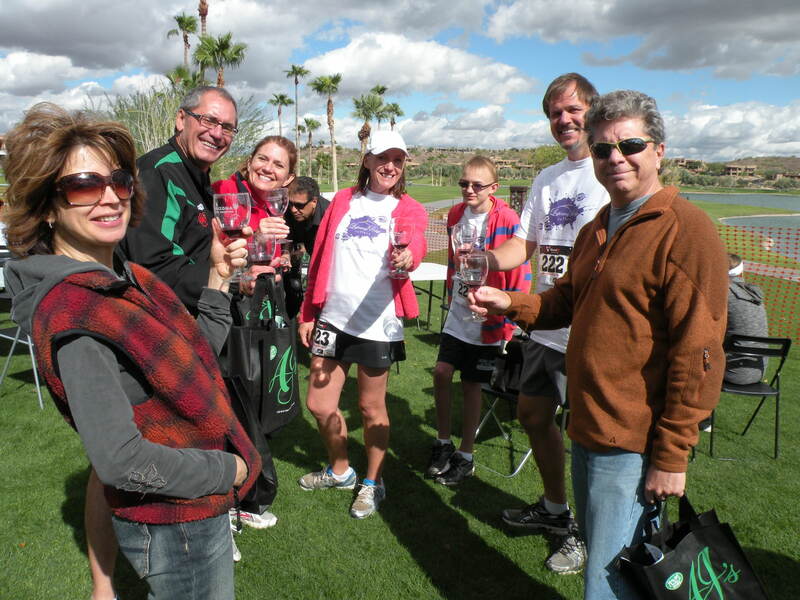 Sonoran Lifestyle Signs Guide Runners at the Grape Stomp: Shameless Advertisement or Helpful Guide…hmmm? 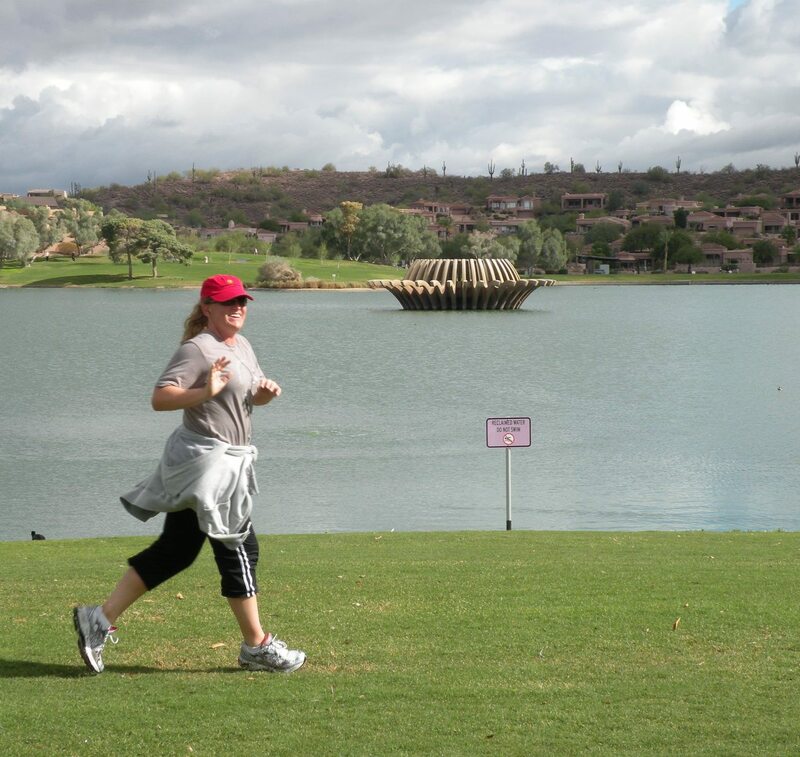 This entry was posted in Area Events, Arts, Culture, Schools & Clubs, Dining, Libations & All Things Foodie and tagged Fountain HIlls Wine Week, Grapeables, Great Grape Stomp, Lawrence Dunham Vineyards, Sofrita Restaurant, Wine Tasting. Bookmark the permalink. May we suggest a few topics…. 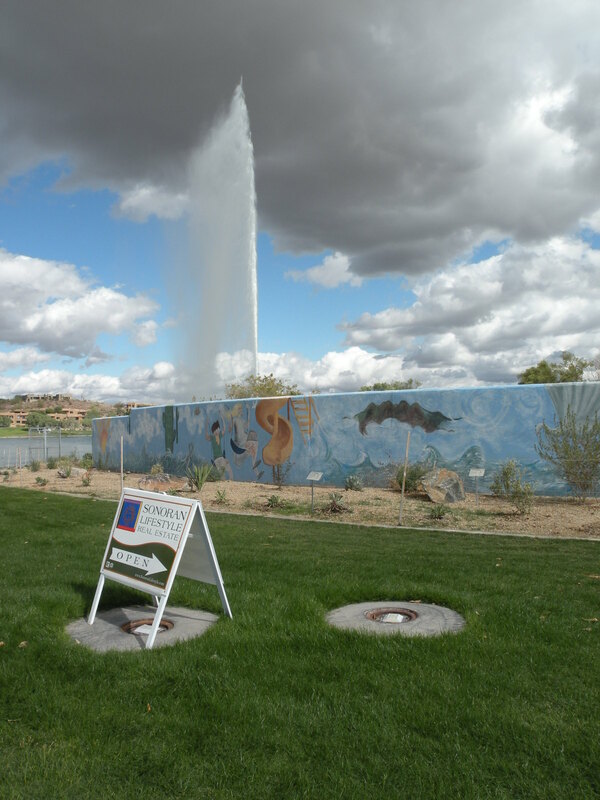 Fountain Hills Market Report: What’s Hot and What’s Not! Back 2 School Bash: Finish Summer Off with a Bang! Calling all Middle Schoolers, Summer Fun is waiting for you! Looking for a July Stay-Cation? Check Out Prescott!